Europe has been experiencing unusually cold weather with many flights delayed around the continent. Over here in southern Ontario (Toronto, Canada) we've been experiencing an unusually cold December as well. The environment is a great interconnected web, thus a temperature change can not necessarily be attributed to only one cause, but is likely the result of a series of factors. 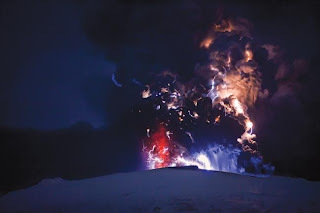 When a volcano erupts it lets off reflective particles into the atmosphere. These particles reflect light that would have otherwise made it to the earth's surface and contributed to warming the planet. Thus when a volcano erupts we might expect the planet's temperatures to drop accordingly for a period of time. The recent eruption in Iceland was an unusually large one, grounding airplane flights across Europe. We don't know how much cooling to expect due to the eruption. An additional possible cause for recent climatic coolness is reduced solar activity. 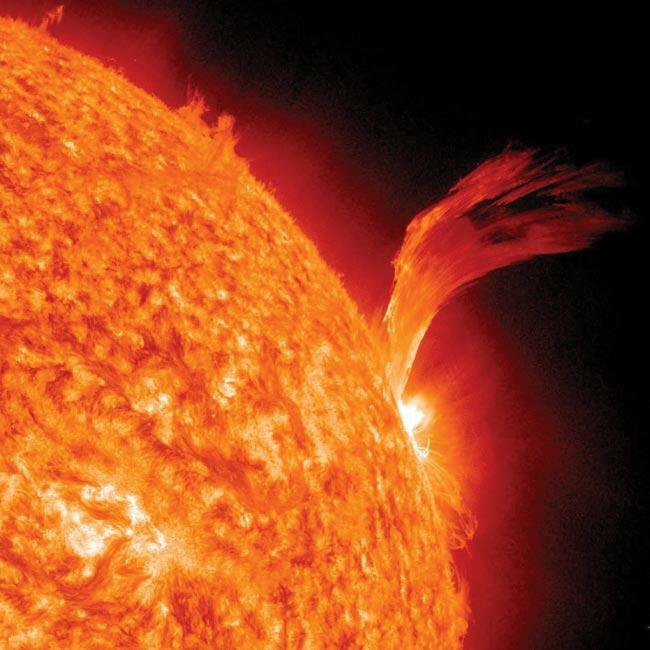 Measures of solar activity such as the solar cycle length have indicated a reduction in solar activity in recent years. This reduced solar activity could lead to cooling which could be responsible for some of the recent cooling seen in northern regions. The sun may very well be slower at forcing our climate than the recent volcano and while many solar scientists predict future colder temperatures due to the sun, we don't know how long it will take to see these effects (if ever). There are many effects potentially influencing our changing climate. Since we do not know with certainty the relative contributions of recent volcanic activity nor the contribution of recent variations in solar activity, then it is likely very challenging to accurately ascertain the climate change contribution of increased levels of carbon dioxide based insulation in the atmosphere in the near future. We need to discern how much climate change is caused by solar variations, how much is caused by volcanos and how much is caused by a variety of factors related to human activity. How will we be able to separate out the amount of change caused by carbon in the atmosphere when we can't definitively say how large a contribution is being made by volcanos and the sun? A simple analysis of climate change factors by someone with an expertise in data analysis reveals the obvious conclusion: We're going to need years more data to separate out the relative contributions of each of these effects.